If you haven’t fired a real gun before with real bullets, this is the most opportune time for you to experience a once in a lifetime action packed adventure with real guns. Visit Riga’s locally owned shooting range with fully equipped indoor shooting equipment. Have yourself taught by a professional on how to properly and safely handle and shoot a gun of your choice. Most shooting ranges in Riga have courteous and helpful instructors guaranteed to provide the best possible quality of service. You do not need a permit to shoot. Where you are interested in firearms or you simply want to pump your adrenaline, this is the best tour package to spend your weekend. And because the tour is private, you will be enjoying the a private venue with only your friends. 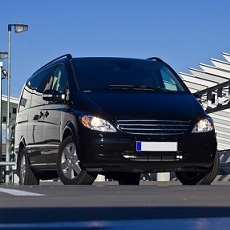 This package is also inclusive of English speaking guide and private transport and transfers. And to celebrate your adventure, a champagne will be waiting for the winner. Gloc pistol and Winchester rifle is the weapon available. Similarly, you can enjoy the real Riga nightlife with four to five hours of guided pub crawl including visits to the top four pubs in the area. Enjoy access to Riga’s best lap dance club not to mention nightclub entry with cue jump. No more waiting in line for hours just for you to be able to enter one particular nightclub. With our guided tour, you are always the priority. Experience Riga at night like you never did before. Two night accommodation in centrally located 3 star hotel with full continental breakfast included. Your guide will be waiting for you at the arrival hall. Includes -10 rounds from the Glock 17, 5 rounds from the powerful Winchester Pump-Action Shotgun; 15 rounds total. Guide and return transfer to the venue. Arranged entrance with Q-jump to the city center Night Club. Girls are stunning and locals are friendly. Enjoy this four hour guided bar crawl with our lovely female guide.